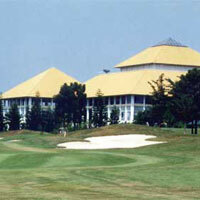 Challenging yet enjoyable golf course on hilly terrain with rather narrow fairways but huge greens. Not much water except on the middle nine (“Lakes”), where the very though par four 17th requires accurate shotmaking. Distant sea and mountain views. Beautifully landscaped with eucalyptus, bamboo and bushes, the Phoenix Golf and Country Club utilizes wooded, rolling terrain on its three nines--Ocean, Lake and Mountain. Although fairways are narrow, the greens are most spacious and the middle nine is one of the most playable in the kingdom due to its large amount of water hazards. Hole 17--a very tough par-four--dog-legs around the lake and has left some of Asia’s most experienced golfers in serious trouble. Excellent clubhouse utilities and a sports complex make this one of the best courses on the Eastern Seaboard. We havent played here for a while, but our customers always come back with positive comments.